Part of your neighborhood, growing with you. You chose Canadian Valley for its quality of life and because the cities and towns west of the metro have grown together into a unique community, one that needs and deserves the best in health care. And that’s exactly what INTEGRIS Canadian Valley Hospital is here for you – to provide you with the INTEGRIS service and expertise that Oklahomans have trusted for over 50 years. 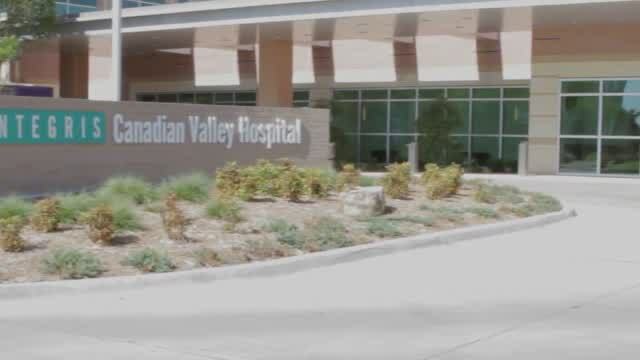 INTEGRIS Canadian Valley is here to serve you and your family with the high level of care you’ve come to expect from INTEGRIS, and our steadfast commitment to our friends and neighbors in Canadian County continues to grow along with our hospital. Whether it’s an emergency or long-term recovery, we’ve created a campus that’s among the most innovative in the country, designed to meet all of your health and wellness needs conveniently close to home. Select an item to the right to learn about our services. We understand how much you care for your loved one. To allow you to be as near to them as possible, INTEGRIS has a full-service intensive care unit in Yukon. You can feel confident knowing that your labor and delivery, and postpartum course will be managed by a specialist every step of the way. Our OB/GYN clinic provides medical care for women of all ages. Better Breathers Clubs are welcoming support groups offered at no charge to people with COPD or other chronic lung diseases. The club brings people together to learn how to manage their condition and improve their quality of life.